As it relies on the name, viral content is a type of content that is lovable and sharable by everyone on a massive scale. The variation between viral content and just simple/ quality/ interesting content is that the viral content captures enormously huge audience under a single target. If you are the author of such viral content then imagine how great honor will you get? Your company’s popularity/ profit/ leads/ success everything can be easily achieved only because of you! Creating viral content is a master key to increase your brand awareness, website traffic and eventually business leads through valuable clients. Of course it might be uneasy to create wonderful content that drives millions of traffic, but at least you should try it! Quality content may work essential for several years but whether it would be viral or not? It always depends on your efforts, ideas, imaginations and its outcome. There are numerous points that signify valuable viral content. It is very crucial when it comes to viral content. Viral content always triggers emotions. Whether it’s original or useful is the second thought! Mainly it must bring on heart filling thoughts, excitement, laughs and much more. Advertising experts usually states that emotional content is the essence of successful and effective advertisement as in this case, is so the viral content. If you don’t provide an attractive title, then it will not drive traffic since nobody will read your emotional and quality content. There is a formula called “4 U” that was proposed by ‘Michael Masterson’ which describes ‘Urgent’, ‘Unique’, ‘Ultra-specific’ and ‘Useful’ is always memorable when it comes to viral content. The title of your exciting content must meet these requirements that will make your content likable and readable. There is no one who doesn't like funny images as it locks them around a bit with smile. Add some images or animals or babies that are adorable. So if you can imagine upon using such creative ideas to include images, then no problem go ahead to use them. Here comes the body part of your viral content. Pay attention to check others on how they write in-depth articles to present content. Analyze the popular blogs related to your niche to get ideas that create something unique and special. It’s not bad to repeat on someone’s success. If the post contains images, texts, visual example and illustrations that provides a crystal clear approach, then it will look attractive! Provide fresh content that are relating to the emerging trends so that you can earn lots of attention and attract visitors. People intend to share timely content that are up-to-date and newsy. This will increase your backlinks and traffic to your website. Even you could benefit from the search engines if you provide fruitful content that are helpful to the thirsty readers. After all, don’t forget to optimize your content. How people will know about your content and share it? It’s all through optimizing your viral content. 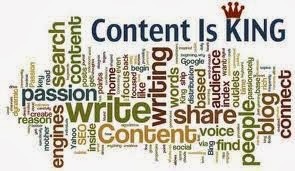 Quality content will definitely contribute to search ranking in the search engine with the help of search engine optimization techniques. There are many misconceptions and rumors in SEO but never worry on those and provide your best! Many a piece of content on the web has turned viral because of the connections and the conversations that took place. Make yourself available for the people to contact you. Provide comment box or allow chat through forums, email, social media and any other way that is apt. Always be responsive! As you know this the generation where E-books and journals plays vital role. Majority of the people use mobile devices to surf on the web. So, be sure to make your content compatible on all mobile devices. It is a great truth that mobile platforms provide half of the quality traffic to the websites. Nobody is perfect and none knows the successful way on getting the sure result. Trying different ways on producing content is essential that gives a boost to your creativity. But never forget to provide perfect headers, illustrious content and emotions that provide great impact. While creating viral content don’t neglect the search engine optimization strategies and do compulsorily follow the guidelines of the search engines for a sustainable growth. Always remember to provide exciting content for readers not the search engines. It is obvious to say that “If people like your content, then search engine will love it too!”. I hope you will find this information as useful. Then for what else are you waiting? Create amazing content and go viral!! If you like this post, do please leave your valuable comments and share it with your friends!